Details : Large multi thin petaled blooms. Large blooms of lovely rose pink petals with slight apricot pastel midstripe. Each petal completely edged in silver white. 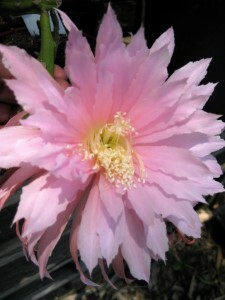 Stunning - A Japanese hybrid. Absolutely gorgeous! Purple red stripe with silver edges. Limited stock. 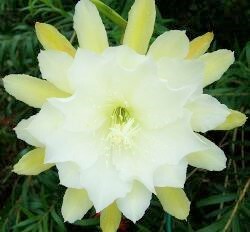 White with yellow back petals. 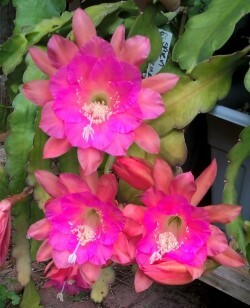 Lovely full blooms with wideish petals and feathered edges. Double, cup and saucer form. Lovely. First row white, roseine purple mid-stripe. Second row roseine purple with white edge. Outer petals cyclamen purple. Stamens cascade, style fushcia. Double wide form. Thick flat growth. 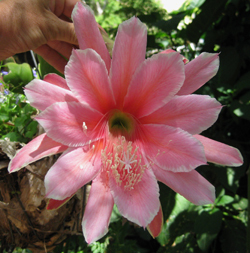 XL Flowers can grow up to 30 cm wide! Wide petals with centres of purple/pink & framed with wide white edges. Petals also have an orange mid stripe. Stunning. Limited stock. White to pale pink with pink midribs. Unique. Pale purple flower with a darker midstripe and white edges about half way up from the throat. Open funnel. Flat and triangular growth. Large multi petal blooms of a soft red with petals edged in fuchsia. Outer petals shades of red. Stunning. One of the best whites, prolific and pure white of large size. 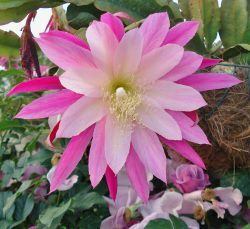 Blooms from Oct - Nov. Limited stock - 1 per customer. 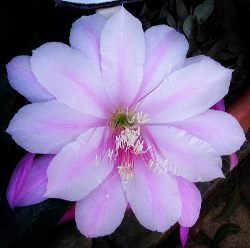 Attractive XL blooms in gorgeous snow white petals, brilliant & shining. 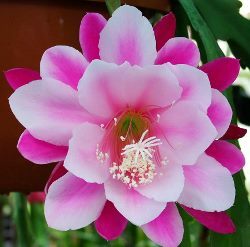 Outer petals are deep rose pink to red making this an attractive bloom. Opens extremely wide. One of the largest pure whites available. Will check on stock by Dec '13. Large flowers of deep orange with a magenta throat and edge. Slightly crimped edges. Outer petals deep orange. Exclusive to Rainbow Daylilies. Ruffled small to medium flowers in delicious colourings of rose, apricot & peach. Just stunning! Blooms early spring. Very compact plant for basket or container, stems can grow upright . A favourite. Exclusive here in Australia to Rainbow Daylilies only. Creamy lemon rosebud buds open to medium sized white flowers with very wide crimped ruffled petals. Lots of very long lasting flowers on an up[right compact container plant. Stunning! White inner petals and purple outer petals. 3-angled and flat upright growth. 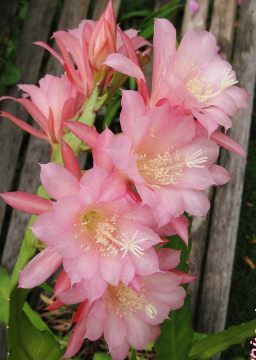 Now available Gorgeous medium size blooms of pale pink with darker pink outer petals. 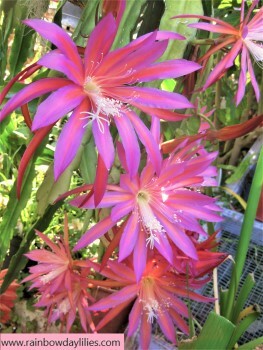 Many blooms open down each side of stems - very prolific. These cost me a lot to import hense the asking price. 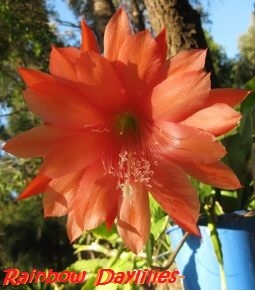 Exclusive to my nursery only in Australia. Details : Extra Large Blooms. DWM No. 206. 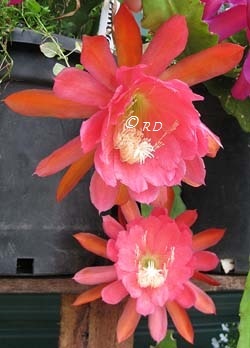 XL - Exquistie star shaped blooms of shining orange with red to light purple edges. A vigorous grower. Details : Extra Large Blooms. DWM No. 317. 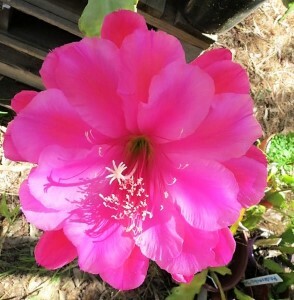 Extra large, full, rounded petalled blooms. Multiple reds/purples/oranges with purple edgings. Details : Medium blooms. DWM No. 43. Pure white thin petals. Outer petals browny green. A night bloomer. 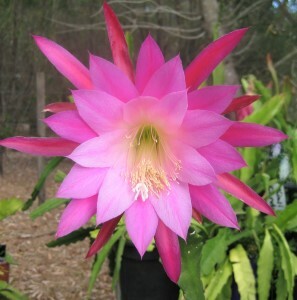 Blooms can stay open until 11 am the next morning depending on conditions. Very fragrant. 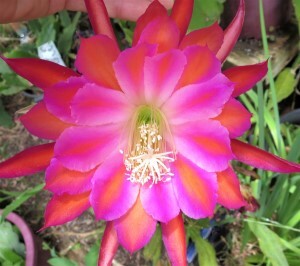 Large blooms with light orange outer petals. Multi petaled rose pink inner petals with serrated edges. A small bloom with plum purple and red outer petals. Great for table containers or hanging baskets. Very prolific with many blooms running down each side of stems. Great for hybridizing for prolific cultivars. 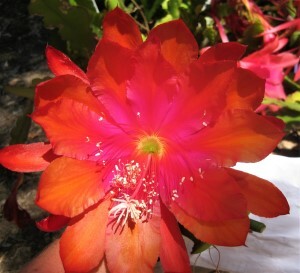 XL bloom with golden burnt orange and a pale violet throat.Wide petals,thick 3-angled growth. Exclusive to Rainbow Daylilies. 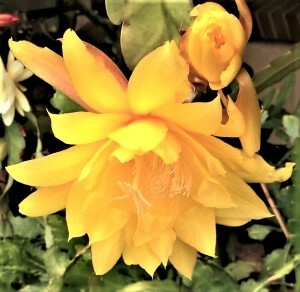 Beautiful saturated sunny bright yellow medium sized blooms with a soft red glow in the throat. Lots of flowers, cascading from a compact basket plant. 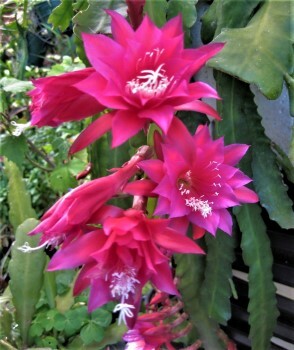 Mid spring into summer & may rebloom in winter. Bright vivid orange with purple edges, orange stamins. 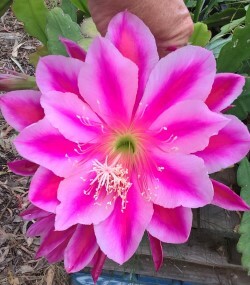 Large multi thin petaled blooms. Low on stock, won't be available for a year or 2? 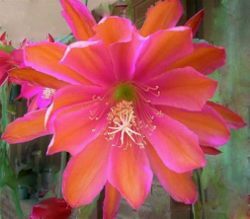 Large colourful blooms or purple orange and fuchsia, will get image when in bloom. Exclusive to Rainbow Daylilies. Medium size bloom of pale apricot and a pale fuchsia mauve throat. Pink tones in petals. Very pretty delicate colouring.